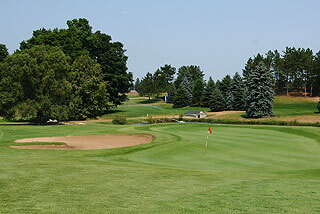 Antioch Hills Golf Club Mesick (formerly Briar North) is a beautiful 18-hole championship golf course with affordable rates and friendly service. 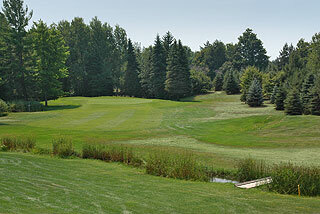 At just over 5800 yards from the tips, this is not a course for golfers with a grip it and rip it mentality. 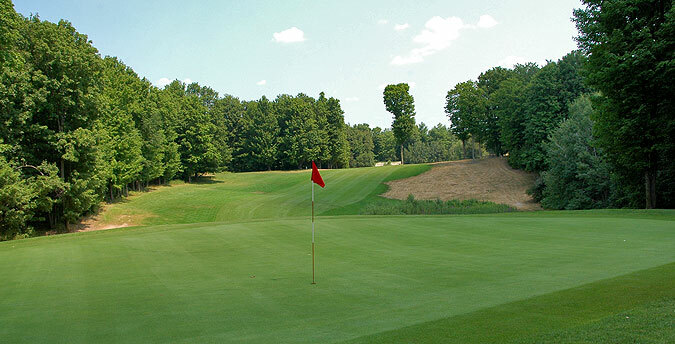 Though there are a variety of par fours and fives where driver is warranted off the tee, Antioch Hills is a thinking man's (women's) course, where placement off the tee is more important than distance. 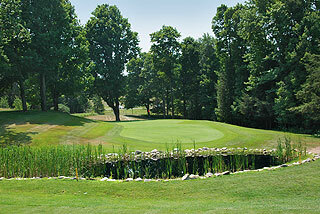 The opening nine begins with a short par four with an approach over a landscaped pond lined by rocks and reeds. 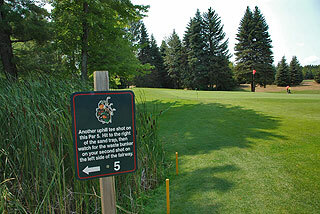 Another unique aspect at the Briar is the signage before each tee area that gives tips on how to best navigate the hole. This information is also written out on each score card along with the appreciated hole diagrams. 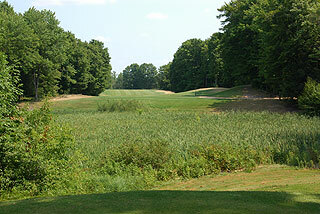 The front side has four dogleg right holes where this knowledge is especially valuable. It is important to take enough club to reach the turn or make the cut without going through the fairway. 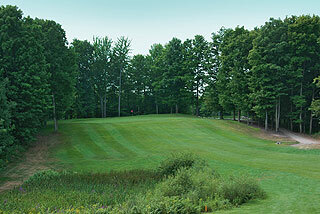 Trees are often situated on both sides, creating the need for accurate play off the tee. The doglegs on the par four 2nd, par five 5th and par four 8th play right to left, while the short par four 9th bends in the opposing direction. There are only 14 strategically placed sand bunkers, but water is a prominent feature (in the form of ponds and wetlands) as these hazards come into play on 11 holes. The back side also has a few tricky doglegs, predominantly shaped right to left - benefiting right handed players who can hit a draw off the tee. The last nine also has more undulation to the topography. 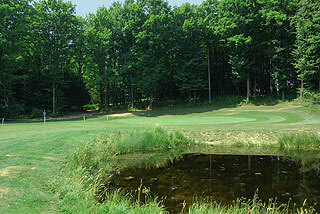 On property is a nice clubhouse with pro shop and snack area serving drinks and lunch items. 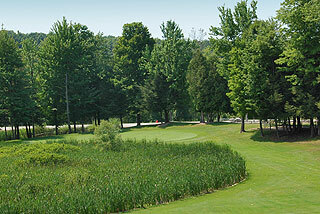 There is a targeted grass range, short game area with sand bunker plus putting green. On course yardage stakes on both sides of the fairways indicate the 200, 150 and 100 yard areas, and small markers on the flags indicate front, middle or back hole locations. The greens are medium in size and mild in slope - with some level "table top" putting surfaces. Three sets of tees play to distances and slopes measuring 5817 yards/116 slope, 5437 yards/111 slope and 4533 yards with a slope of 104 from the red tees. Though the yardages are not long and the slope seem low - even the best players will find challenge with course management. For more info, visit our page for the course, with direct link to their website by clicking here..